Did you know that Trump met with Dr Andrew Wakefield in 2016, and was told the vaccine autism connection and that he plans to do something about it? Vonn (right) has faced hostility from some supporters of President Donald Trump since she said in December she would not visit the White House if she won an Olympic gold medal in South Korea. Red Bull, one of Britain's biggest-selling soft drinks, should not be drunk with alcohol or after exercise, Swedish authorities warn, following reports that at least three people have died after doing so. Austrian Dieterich Mateschitz, 55, who invented Red Bull, is now a billionaire. He stumbled on a health tonic in Bangkok and launched his version in 1987 with claims that it revitalises the mind and body, increases endurance, improves reaction and concentration and helps eliminate toxins from the body. The American Conservative Union (ACU) on Monday evening released its agenda for the 2018 Conservative Political Action Conference (CPAC), a lineup that amounts to perhaps the premiere conservative movement eventâ€™s strongest ever, as President Donald Trumpâ€™s takeover of the Republican Party and the movement enters its next phases. ACU chairman Matt Schlapp, executive director Dan Schneider, and communications director Ian Walters sat down with Breitbart News exclusively on Monday night to discuss the event which features robust discussions of major issues facing the movement, the GOP, the country, and the world today. â€œThe conservative movement and Republican Party had an internal food fight over that, and Donald Trump emerged with everyone else with food all over them but he was pretty clean. But, now, people would ask me a year and a half ago: Will he govern as a conservative? And I would always give the answer: Letâ€™s see what he does, letâ€™s see what he does. Well, weâ€™ve had a year now to see what he has doneâ€”and, if you look at all the areas of the conservative movement, if you look at the three legs of the stool whether itâ€™s culture and the family, strong national security, or the economy, itâ€™s hard to find anybody who is anything other than enthusiastic about the decisions that are coming from the president." MITT HAS A LOT OF 'SPLAINING TO DO! On Jan. 3, 3018, President Trump signed an executive order disbanding the Presidential Advisory Commission on Election Integrity, largely because states controlled by the Democrats refused to cooperate. Many Democrats breathed a sigh of relief, thinking President Trump had given up his effort to uncover and correct the decades of Democratic Party voter fraud. Little noticed was a provision in the executive order that tasked the Department of Homeland Security to review the presidential commissionâ€™s initial findings and to determine next courses of action. Equally unnoticed by the mainstream media were news releases on Feb. 15 from the DNI and from DHS that briefings were being held with election officials in all 50 states on Feb. 16 and Feb. 18 to inform them of the initial conclusions of their on-going investigation into voting fraud during the 2016 election. The Democrats (and many others in the criminal deep state) are in so much trouble! When will they go to prison? Justice is coming to those who think they are above the law, and their very stupid minions! Examples of Democrat voter fraud! insurance to cover longer periods gives Americans options ..."
The Trump administration launched a new rule on Tuesday that will expand short-term health insurance plans, offering Americans more affordable health care options compared to Obamacare. President Donald Trump signed an executive order in October to expand short-term, limited-duration health insurance plans. Before the executive order, Americans could only purchase these short-term health insurance plans for a maximum of three months; thanks to President Trumpâ€™s executive order, Americans can now retain the short-term health plan for any period under 12 months. Short-term health insurance plans do not have to comply with all of the Obamacare insurance regulations such as community rating and essential health benefits, allowing Americans to have more affordable health insurance options.
" ... Rand Paul (R-KY) praised Trumpâ€™s executive order as â€œthe biggest free-market reform of health care in a generation,â€� adding that it will allow Americans to purchase health insurance across state lines. The Justice Department said it would contest that ruling before the 9th Circuit Court of Appeals in California. But government lawyers also asked the Supreme Court to take the highly unusual step of agreeing to hear the case, bypassing the appeals court. "The district court has entered an unprecedented nationwide injunction requiring the government not simply to tolerate, but to affirmatively sanction, a continuing violation of federal law by nearly 700,000 aliens," said Solicitor General Noel Francisco in asking the justices to take the case. After the Supreme Court's decision Monday, the White House said, "The DACA program â€” which provides work permits and myriad government benefits to illegal immigrants en masse â€” is clearly unlawful. The district judge's decision to unilaterally re-impose a program that Congress had explicitly and repeatedly rejected is a usurpation of legislative authority...We look forward to having this case expeditiously heard by the appeals court and, if necessary, the Supreme Court, where we fully expect to prevail." Nearly 60 percent of American voters say imposing tariffs on Chinese steel and aluminum is crucial to the United Statesâ€™ economic relationship with China. In a Morning Consult poll, 59 percent of Americans say it is â€œimportantâ€� that President Trump place tariffs on imported steel and aluminum, specifically from China, showing a wide range of support for the White Houseâ€™s economic nationalist agenda. About 66 percent of voters said shrinking Americaâ€™s more than $375 billion trade deficit with China was key, as well as 56 percent who said they wanted to see the Trump administration challenge Chinaâ€™s leaders on intellectual property protection, and 44 percent who said they want China labeled as a currency manipulator. Gary David Cohn (born August 27, 1960) is an American investment banker who is serving as the Director of the National Economic Council and chief economic advisor to President Donald Trump. He was formerly the president and chief operating officer of Goldman Sachs from 2006 to 2017. Cohn is a registered Democrat, but has donated extensively to Republican politicians as well. Cohn was diagnosed with dyslexia at a young age and attended four schools by the time he reached the sixth grade. In 2010, Cohn testified to Congress on the role of Goldman Sachs in the 2007-2008 financial crisis. Cohn testified: "During the two years of the financial crisis, Goldman Sachs lost $1.2 billion in its residential mortgage-related business. We did not 'bet against our clients,' and the numbers underscore this fact. The Massachusetts man charged with sending a threatening letter filled with white powder to Donald Trump Jr. that sent his wife to the hospital is a far-left gun control advocate who has supported numerous anti-Trump political causes. 24-year-old Daniel Frisiello was arrested after a federal investigation traced the unsigned letters to him as a result of Frisiello also ordering a â€œglitter bombâ€� for one of the intended recipients using his own name. A cursory scan of Frisielloâ€™s Facebook page confirms him to be a gun control advocate who has endorsed and supported numerous anti-Trump political causes and campaigns. Numerous posts over the last two weeks by Frisiello expressed support for the Parkland students who have been given platforms by the mainstream media to advocate for Second Amendment restrictions. Treasury Department Office of Foreign Asset Control (OFAC) published a list of all people and organizations whose assets have been blocked or frozen as a result of the Dec 21 Executive Order by POTUS. The document is 1,100 pages in length. ... looks like about 95% or more MUSLIM/ARABIC names! I think this, in part, has to do with the arrests and turmoil in Saudi Arabia recently. Is there a connection to the end of the Petro dollar deal with Arab nations? Listen to this interview. Ryan Rejected: Trump Says "Not Backing Down"
Moments ago, when reporting that Paul Ryan - and other senior members of Congress - had joined the Tariff Resistance, demanding that Trump kill the proposed steel and alu import tariffs, we quoted Bloomberg's Michael Regan who remarked that "this is either a strong signal that Trump may end up being talked out of tariffs, or a strong signal that Paul Ryan's about to get saddled with a new insult-comic nickname from Trump." Well, it appears that Ryan is indeed about to have a new nickname, because according to flashing red headlines, Trump just said that he won't be changing his mind. Trump then doubled down, adding that "I don't think you're going to have a trade war" in response to the planned tariffs, which is somewhat at odds with everything else he said. Regarding Nafta and the tariffs, he told reporters, â€œIf they arenâ€™t going to make a fair trade deal, weâ€™ll leave it this way.â€� He also threatens to tax car imports coming in 'like water', repeating his weekend tweet. So far, the stock market refuses to react clearly convinced that Trump is, once again, bluffing, while Trump's comment on China has triggered a small pop in the yuan. The Obama administrationâ€™s attempt to discredit the Trump campaign in 2016 so Hillary Clinton could win is â€œbigger than Watergate,â€� according to President Trump. â€œWhy did the Obama Administration start an investigation into the Trump Campaign (with zero proof of wrongdoing) long before the Election in November?â€� he tweeted Monday. Former Obama officials admitted the administration knew about Russian meddling before the 2016 election but did little to address it. Thatâ€™s because they believed Hillary Clinton would win, and Obama â€œdidnâ€™t want to â€˜rock the boat,'â€� Trump had tweeted last month. Trumpâ€™s charge against Obama triggered former CIA Director and Obama-loyalist John Brennan, who lashed out at the president on Twitter on Monday. Brennanâ€™s insult is ironic given he likely perjured Congress for claiming the dossier had no part in obtaining the FISA warrant used to spy on Trump campaign associate Carter Page. â€œIn his May 2017 testimony before the intelligence panel, Brennan emphatically denied the dossier factored into the intelligence communityâ€™s publicly released conclusion last year that Russia meddled in the 2016 election â€˜to help Trumpâ€™s chances of victory,'â€� wrote Paul Sperry last month. Additionally, Brennan also testified he â€œhad no awarenessâ€� about who paid for the infamous Steele dossier, which has since been revealed he did. â€œBrennan also swore that he did not know who commissioned the anti-Trump research document (excerpt here), even though senior national security and counterintelligence officials at the Justice Department and FBI knew the previous year that the dossier was funded by the Hillary Clinton campaign,â€� Sperry added. North Korean communist dictator Kim Jong Un met with top aides to South Korean president Moon Jae-in in Pyongyang on Monday. The meeting is the first of its kind since Kim took power in 2011 and the strongest indicator yet that President Donald Trumpâ€™s campaign to end North Koreaâ€™s nuclear weapons program is working. That is wictory of Chinese President Xi Jinping , Russian President Putin and US President Donald Trump. Kim Jong Un is puppet President same as South Korean government. N. Korea ( China ) / S. Korea ( USA ). ... could this be true? North & South breaking more ice? WHAT A COUP for Trump if this happens! SEOUL, South Korea â€” North Koreaâ€™s leader, Kim Jong-un, has told South Korean envoys that his country is willing to begin negotiations with the United States on abandoning its nuclear weapons and that it would suspend all nuclear and missile tests while it is engaged in such talks, South Korean officials said on Tuesday. During the envoysâ€™ two-day visit to Pyongyang, the Northâ€™s capital, which ended on Tuesday, the two Koreas also agreed to hold a summit meeting between Mr. Kim and President Moon Jae-in of South Korea on the countriesâ€™ border in late April, Mr. Moonâ€™s office said in a statement. via his â€œprivate sector experience,â€� wrote Palin. President Donald Trump is responding to a trade war â€” not starting one â€” he inherited by pursuing a â€œlevel playing fieldâ€� via tariffs, wrote former Alaska Gov. Sarah Palin on Monday. Palin pointed to comments made by Breitbart Newsâ€™s Senior Editor-at-Large Rebecca Mansour last Thursday about Trumpâ€™s proposals to combat â€œeconomic warfareâ€� waged by China to destroy Americaâ€™s steel and aluminum manufacturers. What China is doing, they are willing to take a loss on steel and dump steel below the price of what it costs them to make it simply because they want to destroy our industry for a strategic reason. They want the world to be dependent on them. They want to take the market; thatâ€™s why theyâ€™re dumping steel. This is an act of war. This is economic warfare. A San Francisco lawmaker who was one of the most fervent supporters of giving illegal immigrants the right to vote in school board elections now wants the city to spend $500,000 annually to warn illegal immigrants about the potential risks associated with registering to vote. 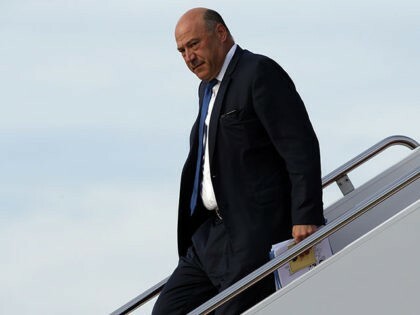 Former Goldman Sachs COO Gary Cohn has decided to resign from the White House on Tuesday, after losing an internal battle on trade policy at the White House. 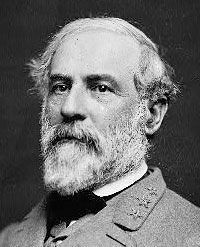 The news was first reported by the New York Times. After helping usher massive tax cuts across the finish line, Cohn signaled interest in remaining at the White House â€” and even spoke to the president about possibly replacing Gen. John Kelly as chief of staff, according to the report. Instead, he is leaving in the face of Trumpâ€™s tough actions on trade. Cohn was an early hire for Trumpâ€™s administration, as the president wanted a â€œkillerâ€� in his administration who was good at closing deals. Although a Democrat, Cohn chose to the join the administration to advise the president on fostering good policy for business and the economy. The vast majority of Americans support President Trumpâ€™s economic nationalist agenda on foreign trade, wherein the populist president is in the process of renegotiating multinational trade deals like the North American Free Trade Agreement (NAFTA). As Trump signed into law his 25 percent tariff on imported steel and 10 percent tariff on imported aluminum to protect American workers and U.S. industries, more than 80 percent of Americans say they support the presidentâ€™s trade economic nationalism. In a Harvard-Harris poll, about 83 percent of Americans said they supported Trumpâ€™s effort to level the playing field on foreign trade to reverse the decades-long pattern of multinational free trade agreements which have wiped out broad portions of the Rust Belt and middle America. Trumpâ€™s trade economic nationalism is even more popular with Republican voters, a voting bloc that is misinterpreted as staunch proponents of endless free trade by the GOP establishment and corporate interests. About 93 percent of Republican voters say they strongly or somewhat support Trumpâ€™s plans to renegotiate free trade to benefit American workers and to prevent multinational corporations from easily moving U.S. jobs overseas. Trump to meet with NOKO, Kim, China, SK. Why no source, it`s all over the MSM & net. CNN is crying that Trump will use bluster, get hard arsed..I disagree. This will be one of the biggest topics of this century. 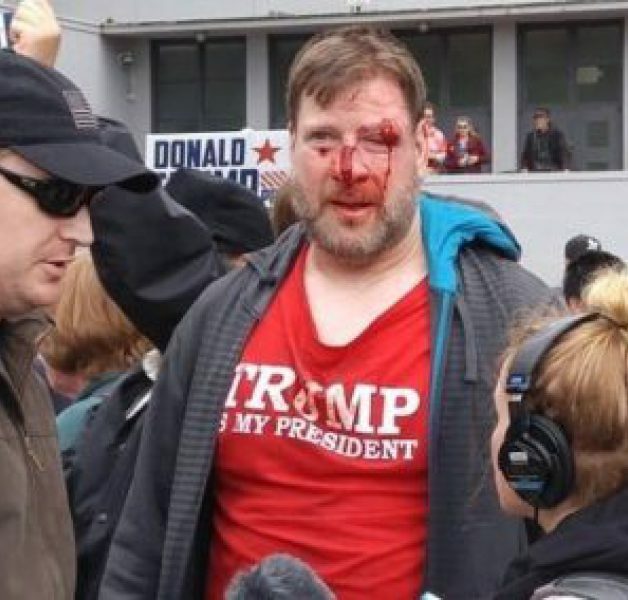 Trump won`t lose his temper! You see, Trump believes in helping all real Americans get opportunity. Democrats just keep you down and dependent and poor so they can control you. They are the biggest losers and all who allow them to control you. Under Trump you learn to be free and self sufficient and add meaning to your life! Freedom comes with actions to make a better life for yourself. You are now getting the opportunity of a lifetime. Will you take it or stay stuck in the lies and control of the left? Democrats and most media outlets continue to dismiss or altogether ignore the good news about tax reform. American workers do not agree with the â€œcrumbsâ€� comments of Democrat Leaders Nancy Pelosi and Chuck Schumer. Crumbs no more, Nancy, as you fear losing an election? You are a piece of work and deserve to lose your next election. You have lied to and deceived your Democrat constituents long enough. You need to lose because you are a loser! Its time that real Americans with some sense, loyalty to their country, a backbone, and who have integrity to go to Washington! President Trump issued the second pardon of his presidency Friday to former Navy sailor Kristian Saucier. Saucier was sentenced to a year in prison during the 2016 campaign for taking pictures inside a nuclear submarine. Trump invoked his case repeatedly on the campaign trail, saying he was â€œruinedâ€� for doing â€œnothingâ€� compared to Hillary Clinton. Saucier was 22 years old when he took the cellphone photos in 2009. The photos Saucier, now 31, took inside the sub were deemed â€œconfidential,â€� meaning the lowest level of classification, even though some depicted the vesselâ€™s nuclear reactor. Clinton, by contrast, sent and received more highly classified information on a private and insecure email server. Saucier told the Washington Examiner earlier this year that a felony conviction made it hard to find work. He worked as a garbage man to support his wife and young daughter. His family's cars were repossessed while he was in prison and his Vermont home is in foreclosure. Saucier has several months left of wearing an ankle monitor. Sadie Saucier said she was thrilled to hear of the pardon, and that "I can't believe it happened, it's still sinking in." She said her husband was driving a garbage truck when the news came. "He texted me back, 'what' with an exclamation point." "I am very grateful," she said. "It's going to be a huge reality when probation calls and the ankle monitor comes off." Climate alarmists are expressing great concern about the departure of National Economic Council Director Gary Cohn from the White House. They believe it is a sign that their influence over President Trump is waning â€“ and with it their chances of persuading him to reverse his decision to quit the Paris climate accord. PURGE THE GREEN FREAKS! THEY COULD CARE LESS ABOUT THE ENVIRONMENT. THEY USE IT FOR THEIR NWO AGENDA! TOTAL FRAUDS! and he controls timing, content and tone.'" President Donald Trump is increasingly flying solo. Always improvisational, the president exercised his penchant for going it alone in a big way this week: first, by ordering sweeping tariffs opposed by foreign allies and by many in his own party, then hours later delivering the stunning news that he'll meet with North Korean leader Kim Jong Un. An on-the-spot decision with global ramifications, Trump's agreement to sit down with Kim came after a meeting with a South Korean delegation and took some of his top aides by surprise. The president has long considered himself his own best consultant, saying during the presidential campaign: "I'm speaking with myself, number one, because I have a very good brain and I've said a lot of things." Trump has told confidants recently that he wants to be less reliant on his staff, believing they often give bad advice, and that he plans to follow his own instincts, which he credits with his stunning election, according to two people who requested anonymity because they were not authorized to speak about private conversations. on liberal efforts on immigration in California ..."
Los Angeles (AFP) - US President Donald Trump is heading to California, a state at the forefront of resistance to his anti-immigration agenda, for what is almost certain to be a contentious trip. Trump's first trip to California as president, on Tuesday, comes at a time of high tensions between his Republican administration and the Democratic-leaning most populous US state, especially on immigration issues. The president will land at the Miramar air base in southern California and then go see prototypes of the wall he wants to build on America's southern border .... Trump will also meet with members of the US military, Sanders said. And he is expected to wrap up the visit with an evening of fundraising in Beverly Hills to raise money for his 2020 re-election campaign. having their usual continued flow of illegal alien workers ..."
President Donald Trumpâ€™s tight labor market â€” through efforts like stricter interior immigration enforcement â€” is leading to corporations investing in construction jobs for U.S. veterans and young Americans, rather than relying on cheap, illegal alien workers. 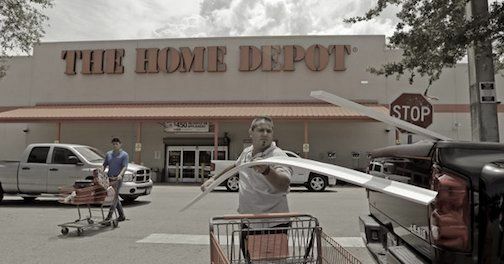 An exclusive report by USA Today reveals that Home Depot is planning to invest $50 million in training 20,000 American veterans and soldiers, young people, and disadvantaged youth for construction work as the industry has tightened in Trumpâ€™s era of economic nationalism. The corporation is looking to train a new generation of Americans for the construction industry as a series of events have slowed employment in the industry, including Baby Boomers retiring, workers leaving the industry for other trade industries, and the unavailability of illegal alien workers. Pro-American immigration reformers, who want to see less overall immigration to the U.S. to boost the wages and quality of life of Americaâ€™s working and middle class, say the Home Depot announcement is the result of the labor market not being flooded with foreign workers. Home Depot to donate $50M to train construction workers, address severe shortage https://usat.ly/2G6IPro That's what happens when you don't open the immigration/work-visa floodgates. Well, Well, Well...... isn't that amazing? How does the simple truth work? WASHINGTON â€” After months of disputes with Secretary of State Rex Tillerson, President Trump removed him Tuesday and nominated CIA Director Mike Pompeo to head the State Department. "I am confident (Pompeo) is the right person for the job at this critical juncture," Trump said in a statement. "He will continue our program of restoring Americaâ€™s standing in the world, strengthening our alliances, confronting our adversaries, and seeking the denuclearization of the Korean Peninsula." Trump's statement did not mention Tillerson, with whom he has been at odds on issues ranging from North Korea to steel and aluminum tariffs throughout the first 14 months of his administration. "Mike Pompeo, Director of the CIA, will become our new Secretary of State. He will do a fantastic job! Thank you to Rex Tillerson for his service! Gina Haspel will become the new Director of the CIA, and the first woman so chosen. Congratulations to all!" The decision ends a tumultuous tenure for Tillerson, who often seemed at odds with Trump or out of the loop altogether. Trumpâ€™s tweet Tuesday came the day after Tillerson blamed Russia for an assassination in London â€” something the White House had specifically declined to do just hours before. Last Thursday, Tillerson said it would be premature for Trump to hold talks with North Korean leader Kim Jong Un. Later that evening, Trump said he would meet Kim by May to discuss the future of North Korea's nuclear weapons program. Last year, Tillerson said the United States should talk with North Korea, which Trump quickly shot down.